There are about as many ways to determine the most dangerous careers as there are careers. The Bureau of Labor Statistics uses a methodology called Census of Fatal Occupational Injuries – Hours-Based Rates and that is the basis for this post. Excluded from the fatality injury rates are workers under age 16, resident military members, and volunteer workers. So, using this methodology here is what the most dangerous jobs of 2014 were (2014 is the last available year for published data). The list of the top 5 causes of death remained unchanged from that for 2013. According to the Occupational Safety and Health Administration (OSHA), there were 899 fatalities in the construction industry in 2014. 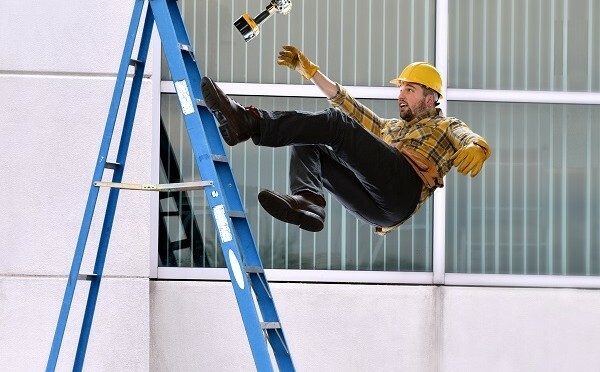 Falls were the most common reason for a fatality accounting for 359 deaths or nearly 40% of all construction fatalities. Falls are one of the fatal four accidents that lead to the death of construction workers. The second leading cause of death of construction workers killed on the job is electrocutions. They killed 74 construction workers or 8.1% of all construction fatalities. Electrocutions are followed by being struck by an object that was responsible for 73 deaths or 8.1% of construction lives lost. Last, of the four, are being caught – in or between for which there are 12 deaths reported in 2014 representing 1.3% of construction worker fatalities. According to OSHA eliminating the fatal four of the construction industry would save over 500 lives per year. One reason that Agriculture, Fishing, Forestry & Hunting are in the top five is their distance from health facilities. OSHA tries to keep workplaces safe through regulations and safety standards that are applicable to the workplace. Nevertheless, job-related deaths continue to be a concern, especially in the construction industry. Older workers have the greatest risk. 35% of all work-related fatalities happened to workers over 55 years of age; workers over age 65 have 3 times the risk of death associated with working. The AFL-CIO reports that Latino workers are at a higher risk of death compared to all other ethnic groups; in 2014 804 Latino workers were killed out of a total of 4,821 deaths. Of these unfortunate accident victims, 64% were immigrant workers. In total, the Latino fatality rate is 9% higher than the overall job fatality rate. In general workplace violence is an ongoing serious problem for worker safety in the United States. In 2014, one of every six deaths at work were the result of workplace violence. Particularly hard hit is female workers in health care who suffered 66% of workplace assaults. If you lost a loved one to a workplace fatality contact an experienced personal injury attorney. Your loved one has the same rights as any worker in the United States regardless of their immigration status. This means that in addition to Workmen’s Compensation awards for a death on the job, you may have other opportunities for monetary compensation from employers of other contractors that may have contributed to the death of your loved one or from makers and installers of construction equipment implicated in the accident. In Irving, Texas contact The Dashner Law Firm. The firm is headed by lawyer Geoffrey Dashner who can be reached at 972-793-8989 or 817-864-9980. Call to schedule your initial appointment for a free consultation about your case.